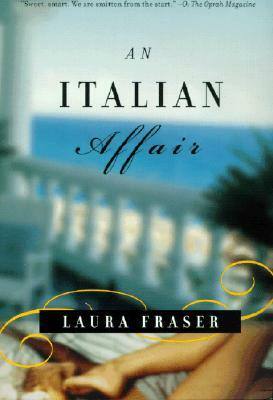 When Laura Fraser's husband leaves her for his high school sweetheart, she takes off, on impulse, for Italy, hoping to leave some of her sadness behind. There, on the island of Ischia, she meets M., an aesthetics professor from Paris with an oversized love of life. What they both assume will be a casual vacation tryst turns into a passionate, transatlantic love affair, as they rendezvous in London, Marrakech, Milan, the Aeolian Islands, and San Francisco. Each encounter is a delirious immersion into place (sumptuous food and wine, dazzling scenery, lush gardens, and vibrant streetscapes) and into each other. And with each experience, Laura brings home not only a lasting sense of pleasure, but a more fully recovered sense of her emotional and sexual self. Written with an observant eye, an open mind, and a delightful sense of humor, An Italian Affair has the irresistible honesty of a story told from and about the heart. Laura Fraser lives in San Francisco.